Webseology / Local SEO / How to Get my Website to the Top of Google? Well, if that isn’t the question of the day when it comes to internet marketing and search engine rankings then I don’t know what is. Getting your website to the top of Google is not an easy task. With so many people vying for the top search ranking spot, how is that you can surpass your competition? Not too long ago there were many tips and tricks that could help soar your website to the top of the search engines with ease. But, for better or worse, with the recent onset of Google algorithm changes (Panda and Penguin) that is not longer that case. Search engine optimization known as SEO is the practice of optimizing your website so that both humans and web crawlers can easily find what they are looking for in the SERPs (search engine results page), both quickly and efficiently. Google also takes the amount of time spent on your site by your readers, as well as, bounce rate (if viewers leave from the same page they came in on without visiting any other page on your website) into consideration, as well, when determining organic search engine placement. 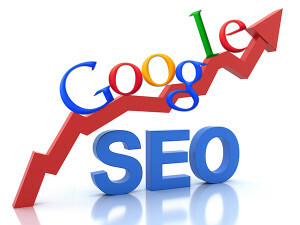 Further more, it is Google’s job, along with other top search engines such as Bing and YouTube, to make sure that your content is extra relevant (likable) to the search term or phrase used; the more relevant your content is to the search term the higher you will place for that keyword or key phrase. So, to go back to the question: How to get my website to the top of Google? Well, there isn’t any one set way of doing this, and there certainly is not a quick, simple way of climbing to the top of the search engines if you want to stay there for the long run. However, through hard work and taking the into consideration the SEO tips below, it can absolutely be done. Here are a few tips on how to get started with a healthy SEO campaign. Organic search engine optimization can seem overwhelming, especially if you are new to it. Start by following the steps above. Remain consistent and steady and watch your site climb through the rankings. For more information or to hire a search engine optimization professional, contact WebSEOlogy today.